Most Americans take anything they see advertised on television or the internet with a grain of salt. Good, but the fact is that advertising works even if we think we are not swayed by the latest jingle or funny slogan. Otherwise, why would companies spend millions on ads to try and convince you to buy their product or service? The same holds true for drug and healthcare marketing, which often uses emotional hooks to gain your trust. But the stakes are much higher when it comes to your health. And that's why you should read this newsletter for tips on healthcare marketing that goes too far. You’d be right if you suspect that drug makers are spending A LOT more on TV advertising. 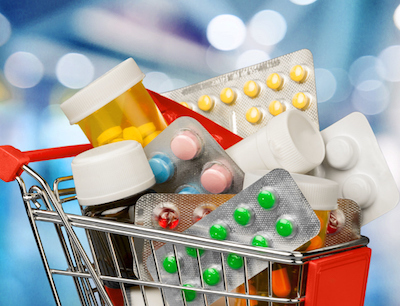 Pharmaceutical companies have more than doubled ad spending in just the past four years, making it the second-fastest growing ad category in the nation. Other healthcare providers – from local hospitals to nationally known cancer treatment centers – are also upping the advertising ante. But when do healthcare promotions cross ethical boundaries and the ancient pledge to all patients of “do no harm”? You should know! One in 20 Google searches are health-related and the first place consumers turn for answers, 57 percent versus 32 percent who start with a doctor. Parsing fact from hype starts with good doctor-patient communication. Doctor Mike shares the questions he would ask in this video. Some patients say healthcare ads that feature happy, healed people and miraculous recoveries spread false hope.